posted by jessica	at 08:30 AM	Filed under American, Recipes. You can follow any responses to this entry through the RSS 2.0 feed. Both comments and pings are currently closed. Wow that looks great! I’ve never heard of Zuni CAfe, but with a chicken like that, I’ve GOt to visit when I hit CA, too! 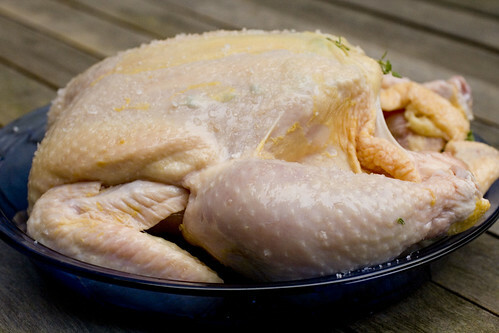 I haven’t been in a couple years, but the last time I had roast chicken there, I was a bit disappointed. They have a fantastic selection of oysters though and I had a mind-changing tuna (I used to hate cooked tuna) dish there once. 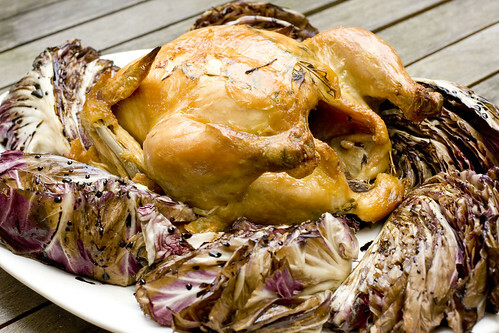 Your chicken looks great, and I love the presentation on the bed of radicchio, so colorful! i like the new header, first of all. 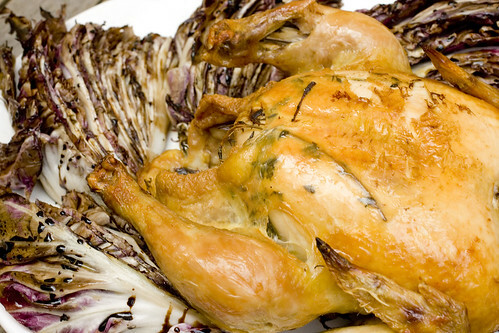 i’m also a big fan of the roasted chicken, and your grilled radicchio looks awesome! Marc, I am not a fan of cooked tuna either, and still pretty picky about it raw. I might have to try that mind-changing tuna. Mmm, that looks great! I’ve never eaten at Zuni, but I LOVE San Francisco. If you’re going to be there on a Saturday, you should check out the Alemany Farmers Market. It’s amazing, and it’s cheaper than the Ferry market.